Milk Doesn’t Do A Body Good! If I was asked to describe milk fifteen years ago, I would have said that it’s an excellent source of calcium that builds strong bones and ‘Does a Body Good.’ Today, after studying nutrition for over a decade, I describe milk to my patients as a well-marketed, fattening, acidic, phlegm-producing, hormone-altering, unhealthy beverage that is better to avoid. The dairy industry has done a phenomenal job marketing cow’s milk as an essential part of a healthy diet, but what does the latest research show? Listen up ladies and gentlemen; once breast-feeding comes to an end, consumption of milk should as well. Humans receive little nutritional benefit from drinking cow’s milk, and have no business drinking it on a daily basis if they are interested in optimal health. Perhaps you’re no stranger to the acid-alkaline health movement and you have already started enjoying chlorophyll, Greens+, or cleansing smoothies for breakfast. Researchers continue to publish evidence that common foods consumed as part of the typical North American diet are highly acidic and harmful to your health. Foods that have a low pH increase cardiovascular disease, inflammatory disorders, diabetes, and other serious health problems. Further, they have found that dairy products, which are highly acidic, have a negative implication on general health. 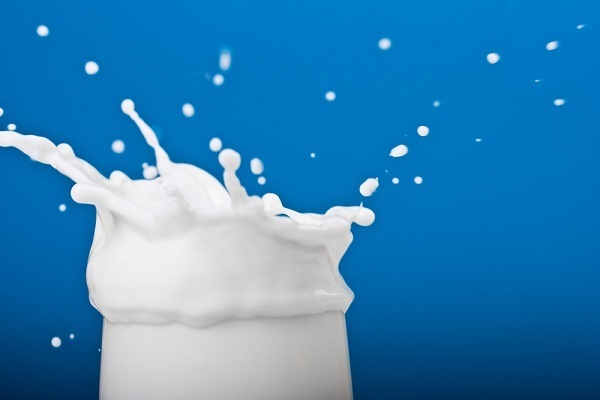 Milk and dairy products increase the acidity of urine, while natural fruits and vegetables create a more alkaline pH. The research shows that an alkaline urine pH is the way to go, especially if you are looking for increased lean muscle mass, reduced fat, increased energy, decreased risk of cardiovascular disease, reduced cortisol (the stress hormone), and better immunity. Next time you are asked to explain your thoughts on milk or other acidic dairy products, take a minute and educate those who are inquiring. Explain to them that since the pH of blood must be within the alkaline range of 7.35 to 7.45 for survival, the body will do what is necessary in order to maintain this range. With a diet that is high in acidic foods and beverages, such as cheese, meat, pop, and milk, the body is forced to pull calcium and magnesium cations from the bones to maintain the pH range for survival. While your body is working hard to buffer the effects of an acidic internal environment, you’re getting weaker, your bones are losing important minerals, and your risk of developing osteoporosis is rapidly increasing. But wait a second; isn’t milk supposed to build strong bones? Doesn’t it supply energy and important nutrients? Isn’t it the best food source for preventing osteoporosis? Unfortunately, many of the claims made by the dairy industry are false. Many of these health claims are nothing more than myths that have managed to become mainstream beliefs, resulting in millions of milk lovers across the world.